I'm sure if you've been following me for any amount of time, you've heard me talk about how damaged and dry my hair has been since moving to California. In the winter time it gets even worse, so I'm constantly on the hunt for products that help my hair stay moisturized, smooth and shiny. 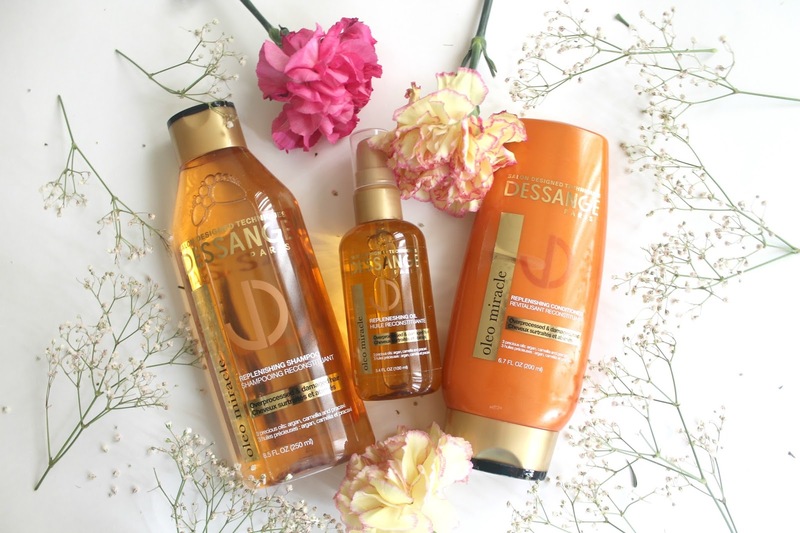 One day while browsing thru Target I found Dessange and decided to try them out. They're a brand exclusive to Target which is super convenient for me because I'm pretty sure I'm at Target 2-3 times a week! 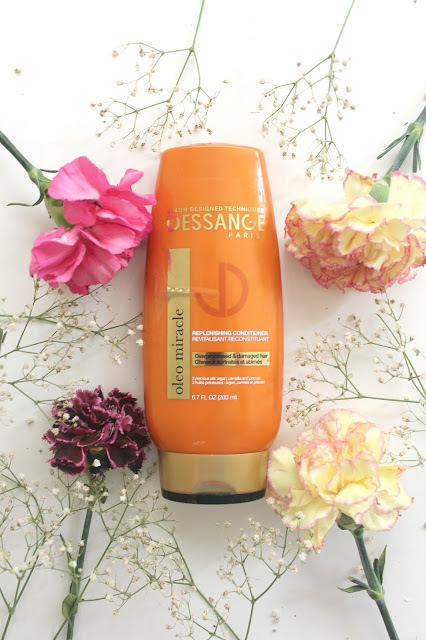 So far I am really impressed with Dessange and how it's changing my hair. 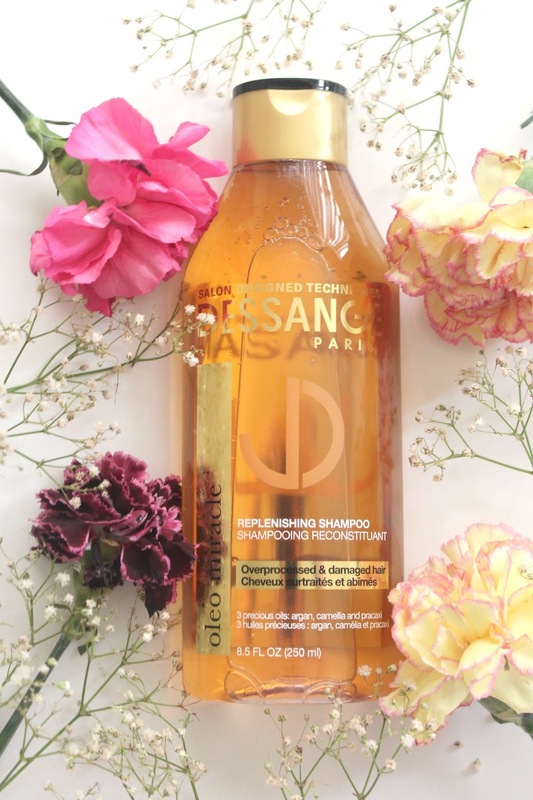 I use the Replenishing Shampoo and Conditioner while I am in the shower. 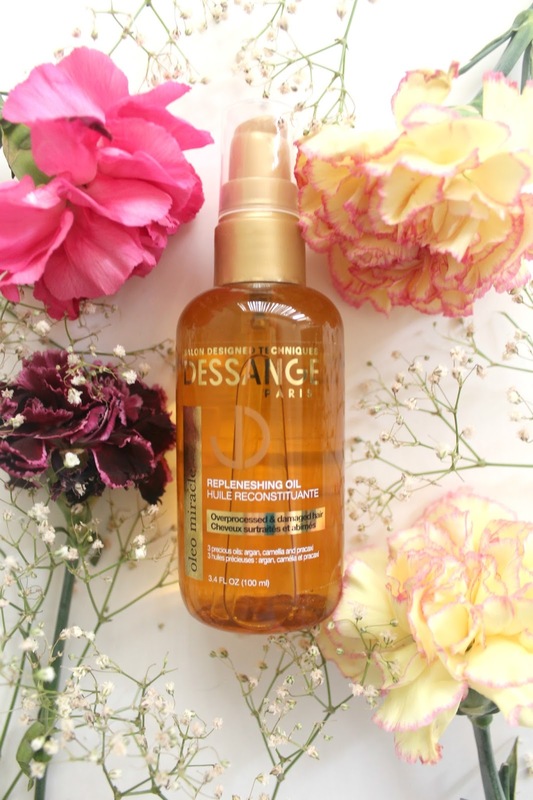 Once I am out of the shower and I towel dry my hair, I take 2-3 drops of the replenishing oil and rub it throughout my hair and let it air dry.